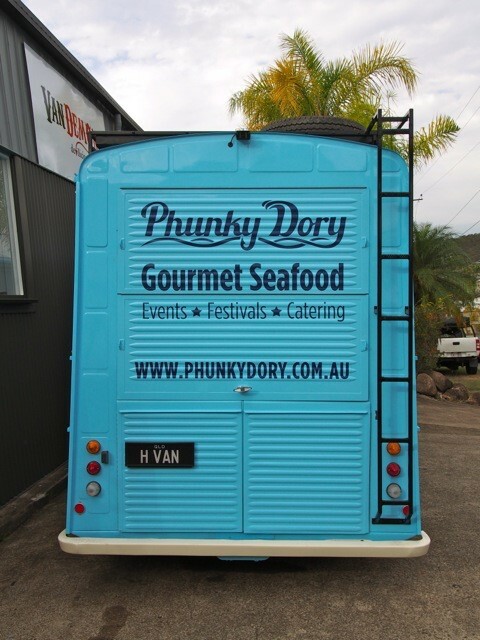 Following the success of their container based fish and chips business at Brisbane’s Eat St Markets, psychologists Nathan and Yuling wanted to spread the word further of their popular seafood by going mobile. 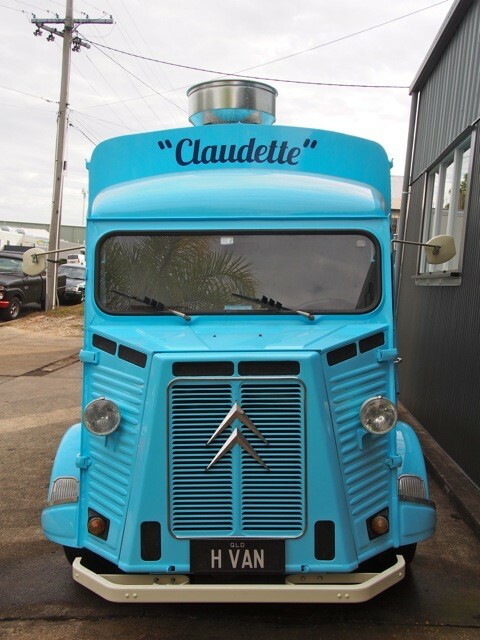 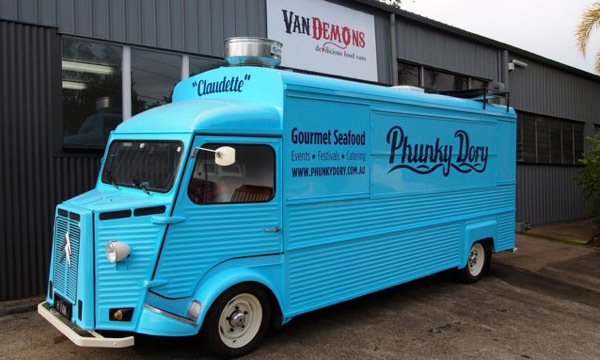 They brought to us a classically restored 1971 Citroen H-van and the Van Demons team have converted into a unique food truck bound to turn some heads! 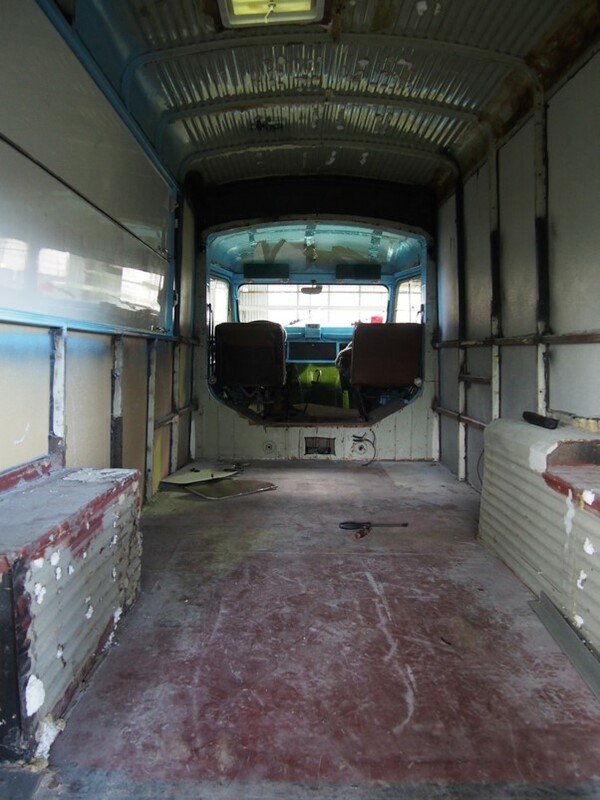 Its easy to underestimate the amount of work that goes into retro fitting an old vehicle like this. 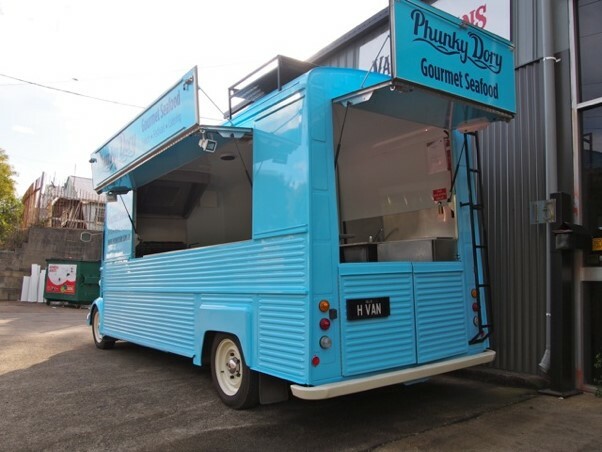 In fact, fitting out an old vehicle or caravan can often cost almost as much as building a new food van from scratch. 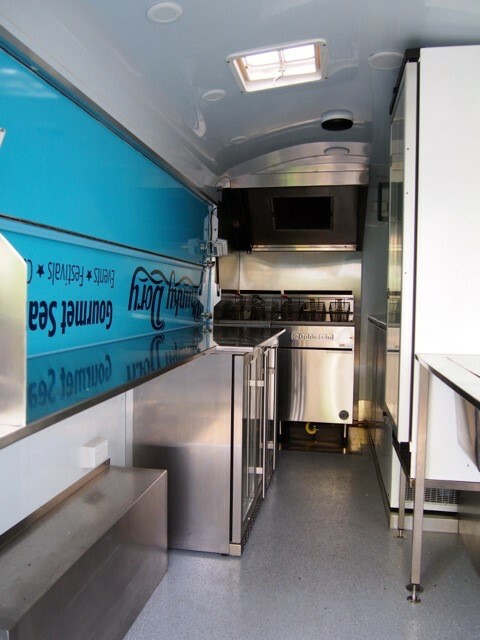 Because of Council’s strict regulations for a mobile kitchen’s surfaces to be easily cleaned with no cracks or spaces for bacteria to grow, a whole new interior to the vehicle needs to be built – walls, floor and ceiling, to fit the vehicle which, in most instances, aren’t just a rectangular box. 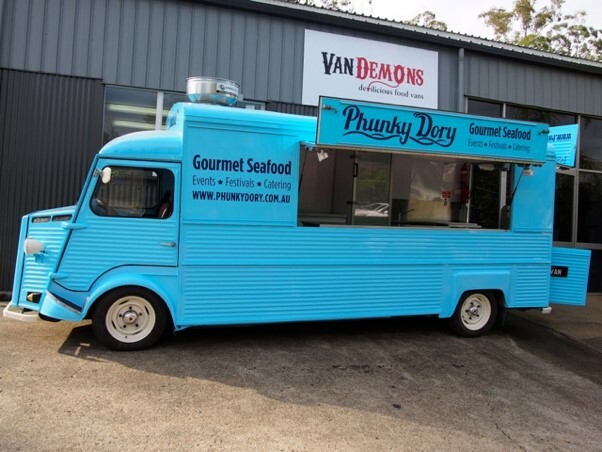 But if it’s something eye catching with a bit of character that you are after, converting an old vehicle like this into a mobile kitchen is a great option. 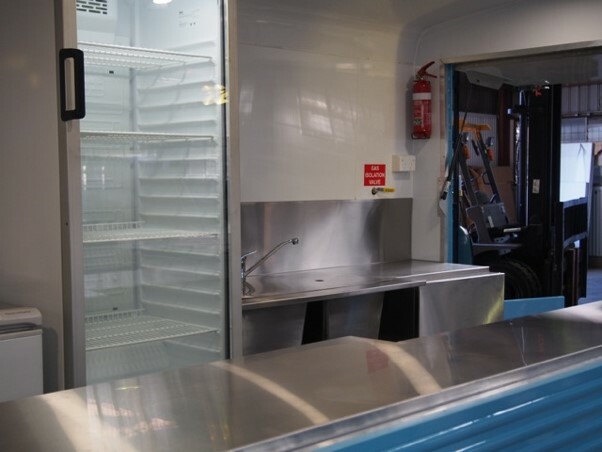 The Van Demons crew gutted the bus, fitting it out with a full commercial kitchen and allowing room for Rob’s 500kg home made smoker for him to fit upon his return to Newcastle. 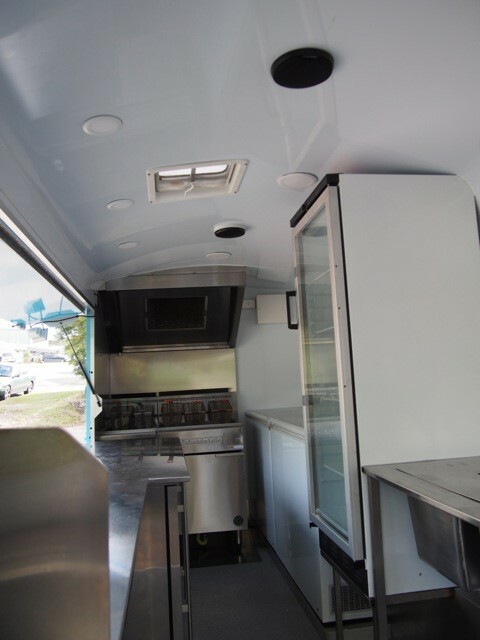 The Smokin Hot ‘n Saucy food bus has two servery windows, a side opening to allow for ventilation for the smoker and a rear opening allowing the smoker to be removed and reinstalled if need be. 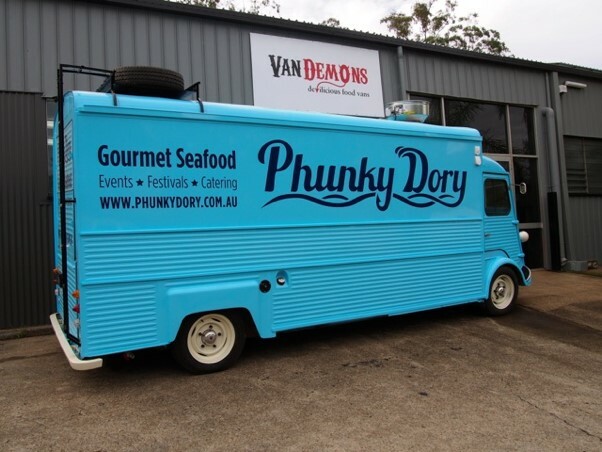 In the Phunky Dory van (“Claudette” as she is known) we have used fibreglass for the floor, and aluminium composite walls and ceiling curved to fit the shape of the van and to maximise the internal useable space. 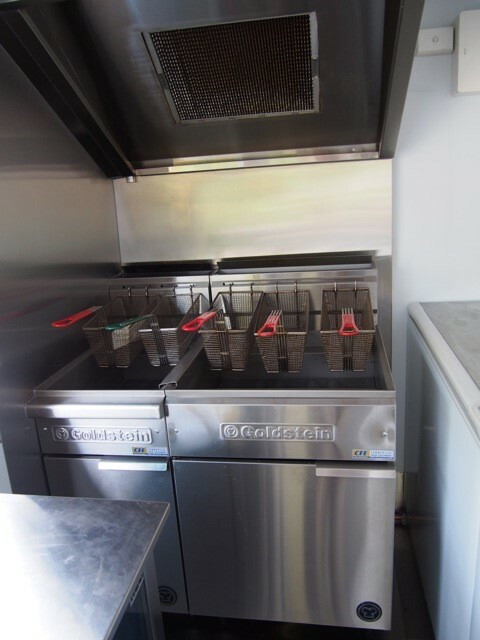 And then a sleek looking commercial custom built kitchen to fit. 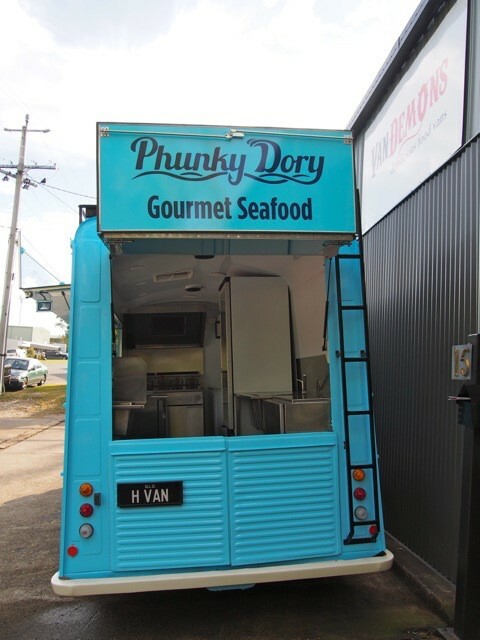 Phunky Dory will be doing the rounds of Brisbane festivals and events and is taking part in the Brisbane City Council’s trial of food trucks in Brisbane’s CBD and parks.